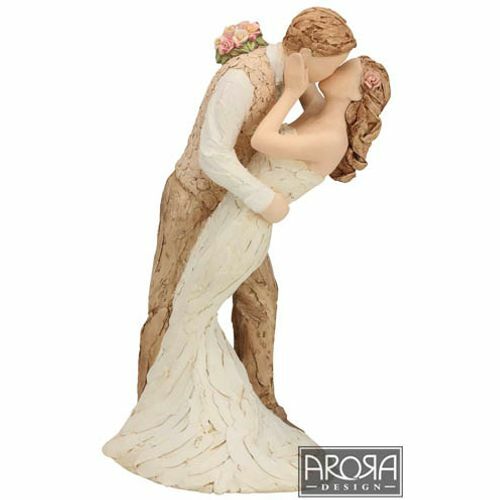 An exquisite figurine from the Arora Design More than Words collection of sentimental sculptures. This beautiful figurine of a couple in a tender embrace makes a perfect gift for a newly engaged or married couple. The female figure is holding pretty pink bouquet of flowers with a flower in her hair, the figures are dressed in subtle, muted tones.